Process — Anthem Craft Co. Gather a sense of who you are as a team, review goals with key leadership, decision makers and creative staff. During our discovery phase, we'll learn about styles and ideas that excite your team to help build the complete look and feel of your digital products. 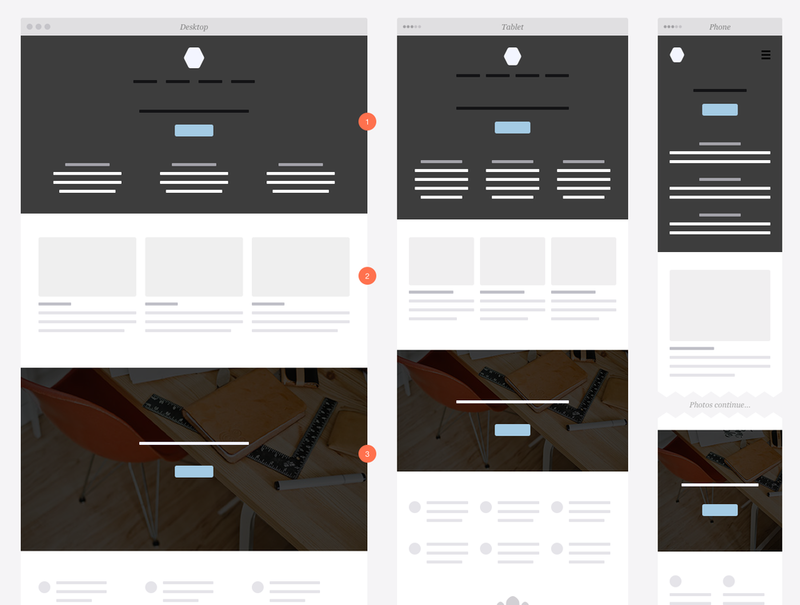 Early generation of mockups and prototype views of the end product to ensure we've covered every aspect of communication and web design.